Former President of Konya Bar Association, Mr. Kayacan is under arrest since July of 2016. He resigned from presidency of the bar after got arrested. The members of Konya Bar Association are the first victim of systematic crackdown against lawyers within the scope of post-July persecution. 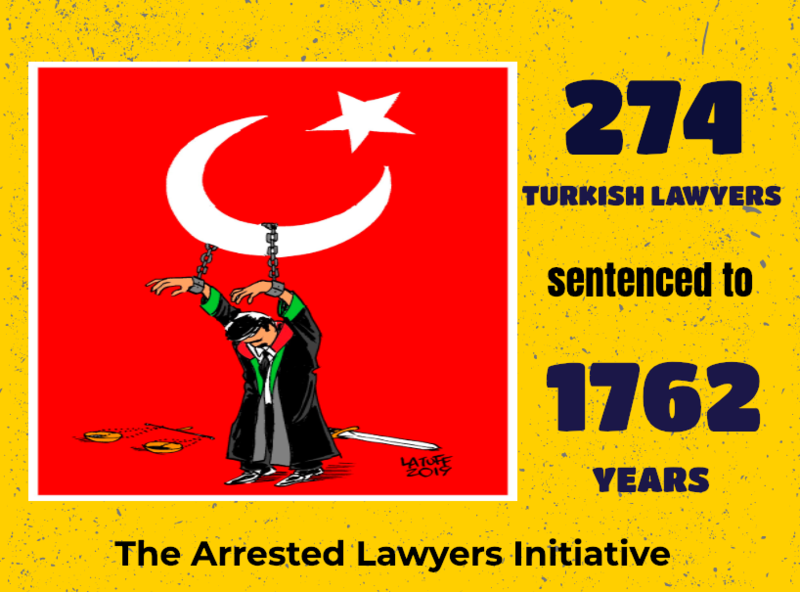 Only 5 day after the failed coup attempt, on 21st of July 2016 detention warrant issued for 45 members of Konya Bar Association including the president (of the bar) Fevzi Kayacan and 20 lawyers subsequently have been arrested. At the ongoing trial of 45 lawyers in Konya 6th High Penal Court, 20 lawyers are still inmate and 8 lawyers are wanted. In the last hearing dated 2/8/2017, prosecutor declared his opinion as to the accusations and asked 38 lawyers to be convicted for terror related crimes and 7 lawyers to acquitted. Pursuant to Turkish Penal Code, terror related crimes requires 5 to 15 years imprisonment. So far, former president of Erzincan Bar Association and former board member of association were sentenced to 9 and 10 years. The hearing for the final judgment will be conducted in 25th September 2016.